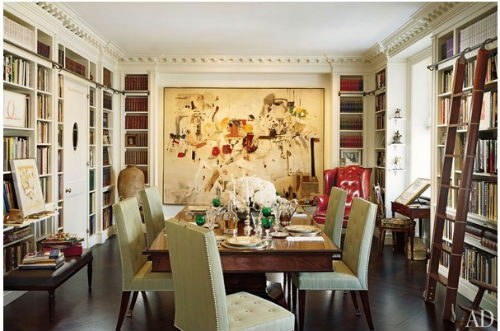 In my ideal house my dining room would be surrounded by wonderful bookcases filled with art and books. 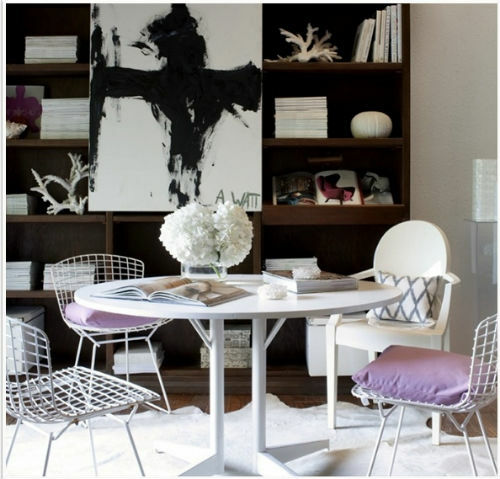 By adding bookshelves in the dining room you would be creating a very cozy feel and rebranding it as a multi-purpose room. Nowadays formal dining rooms are quietly disappearing, which just makes me so sad, but by adding bookshelves you can revive and repurpose a formal dining room. I can just envision my family and friends gathered around the table with after dinner drinks trying to solve the world's problems. True, we would need a lot of books but aren't these images so provocative? (the last image is my all-time favorite!). 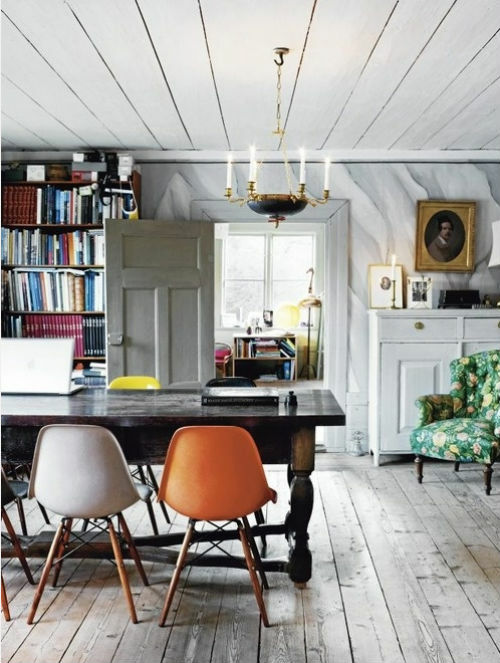 Go forth and revive your dining rooms! The last one is my fav. It's so Carrie Bradshawesque. Yes, have always loved this idea!! 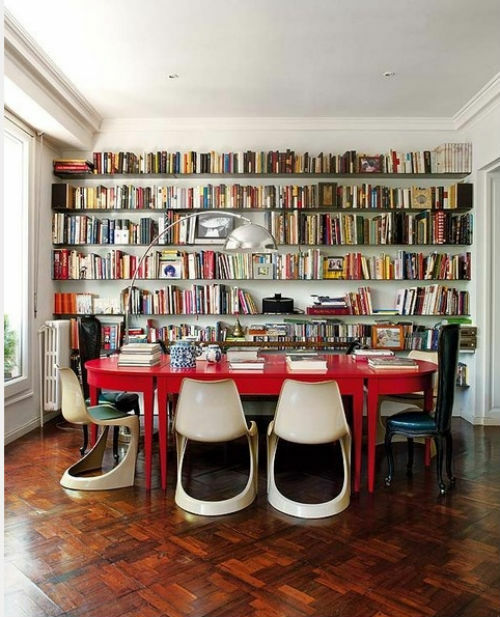 I'm very partial to book-collecting, but I've got a long way to go to achieve this look!! We're just in the process of covering our dining room with bookcases :-) now that we've found a 12 ft dining room table - a wonderful craigslist score! We can't wait to cozy it all up with the books! Love having books around... They make everything so beautiful!